Does Early Emotional Responding to Initial Mindfulness Training Impact Intervention Outcomes? Depressive Symptoms and Emotional Eating: Mediated by Mindfulness? 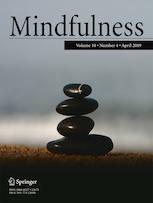 Does Thought Suppression Mediate the Association Between Mindfulness and Body Satisfaction?